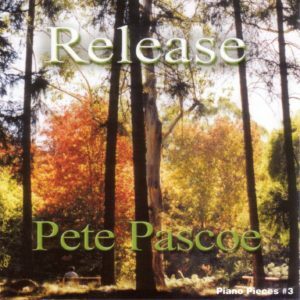 Listen for free or purchase digital download here 13 pieces selected from Pete’s Piano CDs are available as sheet music. These CDs feature solely piano music with an emphasis on melody – all mellow music, with no loud or uptempo sections to change the mood. All original piano pieces. Some are improvised and some are composed in a more traditional manner. Each album features Pete’s light touch on the keys. This music will bring a sense of peace and soulfulness to your home/classroom/car/workspace. More than 5000 have been sold independently to customers from all around the world. Ideal for weddings, meditation, yoga and beautiful background music. Featuring 20 pieces -1 hour of instrumental music, ideal for creating a relaxed environment at home or work. 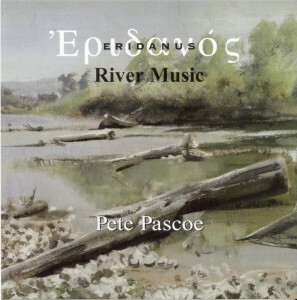 ‘Peace’ is in the same easy listening/instrumental genre as the previous well received piano albums ‘Eridanus/River Music’, ‘The Unfolding’ and ‘Release’. A combination of improvised and traditionally composed pieces. After fishing along my favourite river and painting a picture – see cover art – I returned home in a chilled state of mind and composed the album. The name ‘Eridanus’ comes from Greek Mythology. It is also a constellation of stars, which is likened to a river. It flows through a portion of the heavens called ‘The Sea’ by the Greeks. Christians associated the constellation with the Red Sea, or Jordan. Chinese culture associated this constellation of stars with the name Yuh Sing, ‘The Golden Well’ and others Tien Yien ‘The Heavenly Park’. ‘I find Peace in the bush, by rivers or near the ocean. 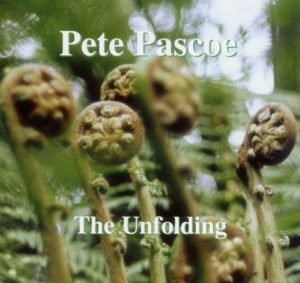 I hope this album brings you that feeling’ Pete Pascoe. Bright, uplifting tracks – beautiful music to bring serenity to a space. I use Pete’s music in my primary school art classes every day. The music is perfect for bringing focus and calm to the class. The children always work more productively and thoughtfully with less chatter. Couldn’t do without it now!